Two things I learnt during London Fashion Week. Firstly, pastels are definitely in still and secondly, LFW will make you tired, worn out and ache, ache a lot so do not going clubbing in-between and only sleep a couple of hours. On day 2 of LFW we dashed from North London to central for fashion shows then onto South West London for a christening then back into central. It was so tiring, but worth it. I had such an amazing weekend! 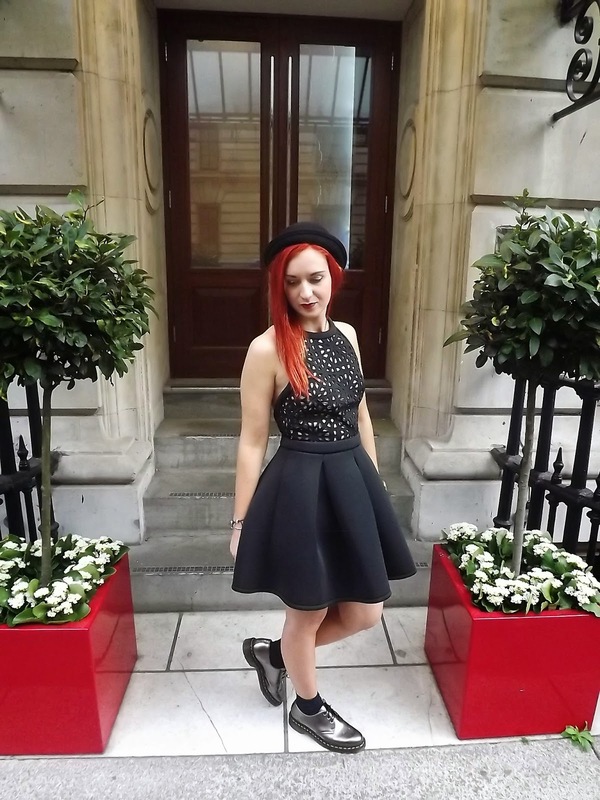 I wore this outfit to the Fashion International showcase at Royal Horseguards Hotel by Embankment. It was a great evening where we were able to see a range of designers collections – photography coming soon! I chose to wear flats to LFW, as much as I wanted to wear heels I knew with dashing all over the place and carrying what felt like a million bags, it wasn’t going to work! I wanted to stay comfortable (and happy!) Although even these shoes started to rub after a while! I kept the outfit simple so I could use my very bright hot pink Michael Kors bag. I picked up this bag at Mumbai airport along with a Rose Gold watch which were both at least £110 cheaper each than if I was to buy them in London. I have been so busy the past week (LFW, Cosmo #FashFest and Iggy Azalea concert) Therefore I have a hell of a lot of posts coming up.